THE CALLIOPE - 'Kaleidoscope - Calliope'/'Everybody's High' (Audio Seven 151/153) 196? At least two other outfits in America went by the name of The Calliope. 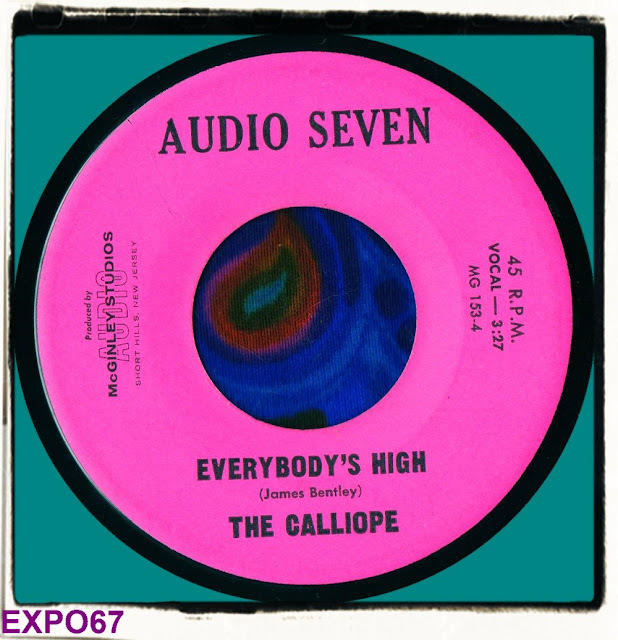 This particular group from Short Hills, NJ should not be confused with the Calliope from Santa Barbara who recorded for Epic and Shamley or the one from Seattle who released an album called 'Steamed' on Buddah. The New Jersey Calliope came to my attention way back in the 80s with their killer 'Streets Of Boston' which was compiled on 'Attack Of The Jersey Teens.' When I started to collect original 45s I made a decision to find all of the the records used for that comp and Calliope were top of my list. Not much has been written about Calliope and information seems to be at a premium. Not even the guide 'Teenbeat Mayhem' could confirm a release date or even year for that matter of the two discs Calliope put out. All four songs were written by James Bentley. My research has drawn a blank so hopefully someone who knows more will get in touch with me. 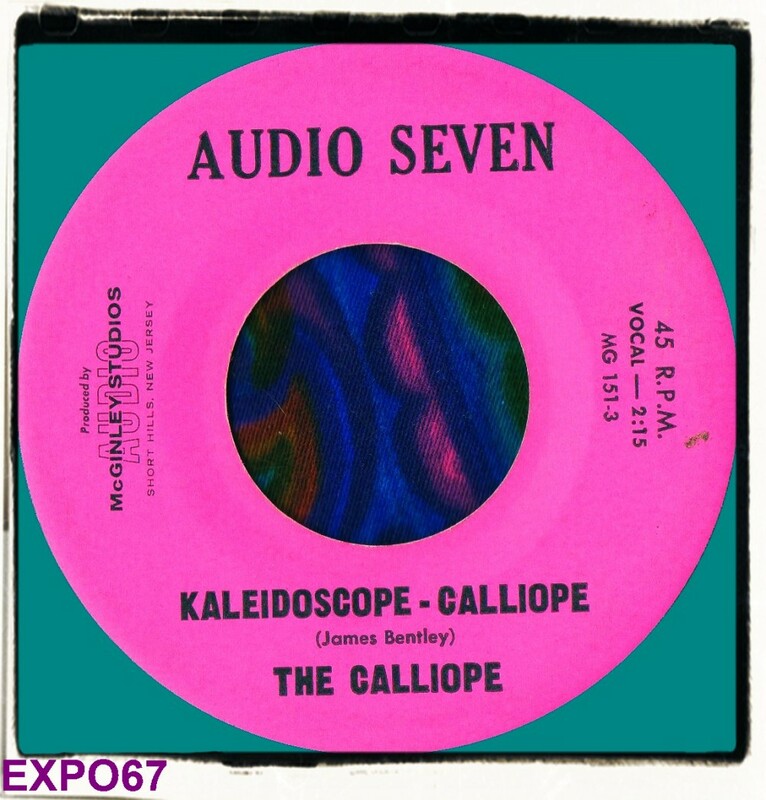 'Kaleidoscope - Calliope' is wondrous basement psych full of echoed vocals with a fragile melody held together by some heavy bass and primitive drum action. The liners of 'Attack Of The Jersey Teens' describe this 45 as 'awful but amusing'. They didn't even bother to compile the song or the flip 'Everybody's High' which is of a similar lo-fi psych quality and is as fragile as butterfly wings. A really unusual track, with a slight UK feel to the verses, whilst the chorus has more of a West Coast beat. But what about the drummer? Had he heard the song before? - Clearly not!